I know it’s been awhile since my last post on marketing techniques that inspire me. I have been working towards my MBA over the last couple years and am happy to say, I am almost done. I will finish and graduate - with honors on June 2, 2017. The that I receive from the marketing committee has always been something that I have cherished. And now that inspiration is taking me on another journey. During my time away from my marketing blog, I truly missed the creative outlet this afforded me and feel I need to explore other options for creativity. My passion for paper crafts has exploded. 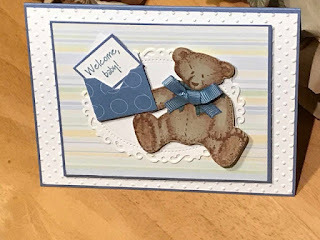 I have always enjoyed making cards and scrapbooks and now that I have little more time on my hands, I’m going to take all the marketing knowledge I have and start selling my creations. Measure the space you will be using. Measure all of it including doorways and wall height. If you are like me, I want to use every inch of space that I have. Make of two lists – must haves and nice to haves. This way you know what could be given up if needed. Get some graph paper or use a computer program and start mapping out your space starting with the must haves. I recommend drafting a few different layouts. Spend the time doing this because once you start on a particular layout, it will be very hard and costly to redesign and start over. 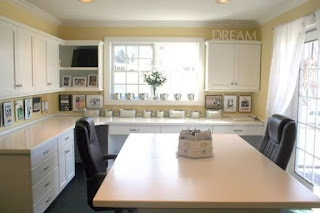 Once you decide on a layout, look at images of other craft rooms using Google and Pinterest to get ideas and inspiration. Start collecting storage ideas that fits your space and needs – like to save pictures so I know what it should like. You are now ready – start with your nice to haves list and either build or buy or both. Don’t get inpatient – getting what you want sometimes takes time. I’ll keep you posted on my progress. I will share will you my final room layout when I finally decide on which one works for me.